See what I’m saying… XM gadgets keep popping up! Now, TERK Technologies, the people that create antenna technology for TV, satellite, radio and mobile communications applications, are offering the XM Commander. The XM Commander is a universal satellite radio receiver, featuring a compact controller with display screen, a micro antenna, a full-function remote control, and a small, hide-away tuner box. 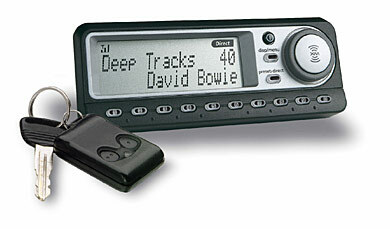 The XM Commander works with all AM/FM car stereos regardless of make, brand, or year. The controller is sized and styled to seamlessly integrate with the dashboard of most vehicles, including high-end luxury cars. It’s priced fairly at $159.99 (MSRP) and is available exclusively through TERK Technologies. Record Web Radio Stations, Legally?